Is the Earth Just Old And In The Way? Maybe It’s Time to Move to Mars! It is TEN times cheaper than the U.S. mission to Mars. On September 30, 2014, an agreement was drawn in Toronto between India and America, to launch a joint Earth-observing satellite mission and establish a pathway for future joint missions. India, it seems, has joined the elite superpowers, and this partnership between two large yet vastly differing democracies with economic models on earth symbolizes a strange common thread: the hurry to abandon Earth and ignore talk of Human Rights, Climate Change, or environmental issues, and simply find a new planet to inhabit. The idea of people abandoning Earth and colonizing Mars might seem far fetched and in the land of science fiction, but not according to many businessmen, such as British Billionaire Richard Branson, who bought the world’s first commercial space line several years ago, Virgin Galactic, in hopes of populating Mars by 2024. “In my lifetime, I’m determined to be a part of starting a population on Mars. I think its absolutely realistic. It will happen,” he said. 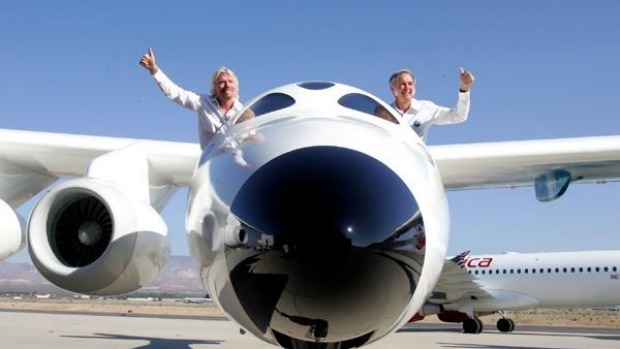 If you have the financial resources, you can even book your flight to Mars when it becomes available at the Virgin Galactic website. According to a United Nations Report freshly launched this week, population will reach 9.6 billion. The already exhausted and over taxed Earth will run out of food by 2050. Food prices will inevitably spike with a rising demand for protein foods such as meat, milk, fish and eggs. Growing shortages of fresh water are already adding to the catastrophe. The two major food baskets of the world namely: California in America and Punjab in the Indian sub continent, are already half empty because of the seasons being out of gear and due to Climate Change/ Global Warming. Subjected to continued exploitation and pollution over the years, both are at the verge of an environmental disaster. In California, the Central Valley agricultural landscape for instance, is already changing for the worse. In a prolonged drought and due to the shortage of irrigation water, thousands of acres of farmed land are left as fallow and hundreds of acres of mature almond orchards have been abandoned and left to die. The environmentalists and the farmers are already fighting each other for their rights to water and the government is caught in the middle of it all. Situation in Punjab wanting to be California so to speak, is even worse, since they don’t seem to be aware of its coming or where they are going. In many studies, a recurring hypothetical is regarding potential wars involving more than 50 countries on five continents all over water rights, unless something is done to control how to share reservoirs, rivers, etc. Rather than look towards the skies for a new planet to colonize, our focus should be on helping to make this one livable. In the late 1960s, I watched Neil Armstrong taking those momentous steps on the moon, and I remember the same feelings of amazement mingled with sadness and fear for this planet. Our home. I wrote my poem, “Umber di Shehzadi de Naa,” (To the Princess of the Skies) in 1969. I imagined the Earth and Moon as two sisters. 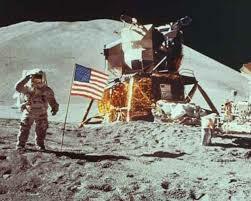 Man has taken all he wanted from Earth and is now knocking on the Moon’s door, intent on doing the same to Moon. Earth writes a letter to her estranged sister, warning her not to open the door.